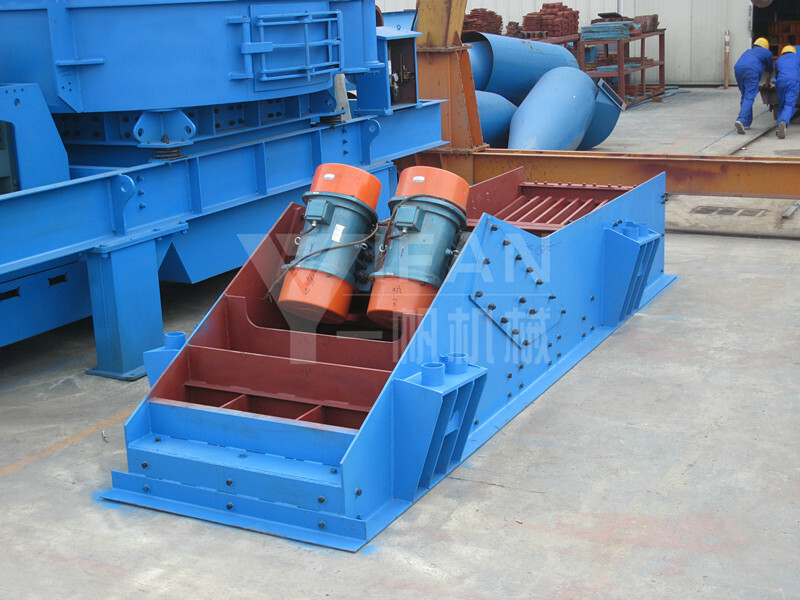 GZG Series auto-synchronous vibrating feeder has extensive applications in many fields such as mining, metallurgy, coal, building material and machinery. 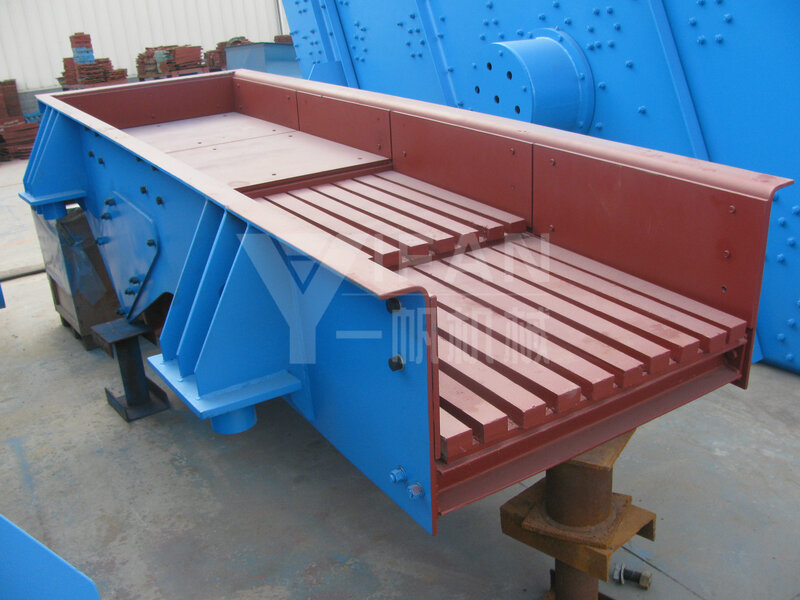 It is used to continuously and uniformly or quantitatively feed massive, graininess or powdery materials from hopper or funnel to receiving devices, for example, feeding materials to belt conveyer, bucket elevator and sizer, crusher and grinding. (1) Small size, light weight, simple structure, easy installation and maintenance without rotational parts, no need of lubricant among the different parts, lower operation costs. (2) Based on the theory of sympathetic vibration in mechanism vibration, binary plastid works nearly in the state of critical sympathetic vibration, thus GZG Series feeder costs less power during operation. (3) Since the feeding material volume can be changed, started or stopped instantaneously, the quantity of the feeding materials can be controlled accurately. (4) The control device of GZG Series feeder adopts silicon-controlled half-wave Rectification circuit, so the feeding quantity can be steplessly changed during the use through the method of adjusting the silicon-controlled open angle. (5) Since the materials in the feeder slot is thrown continually and hop forward in a way of parabolic curve during the feeding, the feeding slot has little wearing. 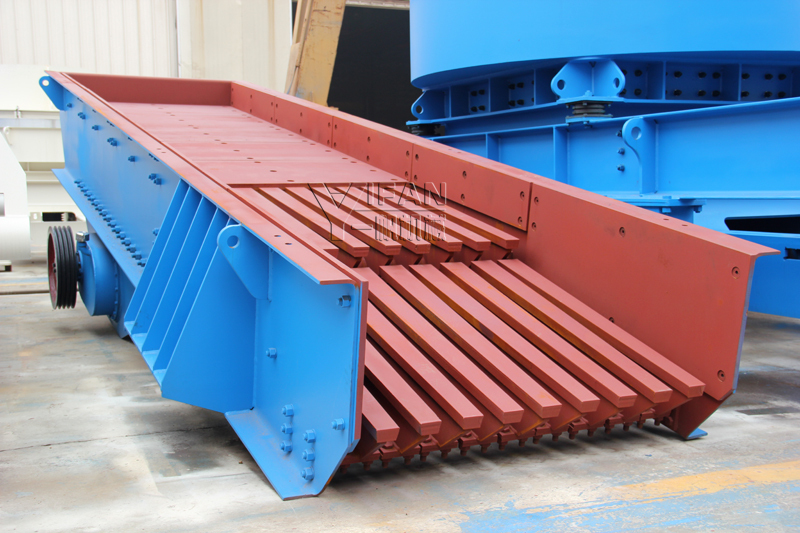 (6) This GZG Series auto-synchronous vibrating feeder shall not be used in the explosion-proof occasions.